Potent cannabis, known as skunk, increases the risk of psychosis according to a recent study. The research in question looked at 780 people, 410 of whom had experienced psychosis and 370 healthy participants – all aged between 18 and 65. 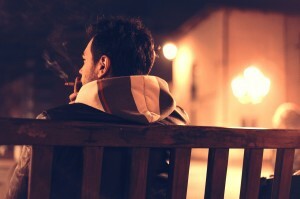 The research was carried out by King’s College London and suggests that the risk of psychosis is three times higher for those who smoke potent, skunk-like cannabis than non-users. A spokesman from the Home Office has commented to say this study highlights the reasons why cannabis is still an illegal drug in the UK. Interestingly the study found that the use of hash, a much milder form of the drug, was not linked to an increased risk of psychosis. The term psychosis refers to hallucinations or delusions that are typically present in conditions such as bipolar disorder and schizophrenia. Dr Marta Di Forti, lead author of the study said that compared to those who had never tried cannabis, regular users of high-potency cannabis had a ‘threefold increase in risk of psychosis’, adding that the risk was dependent on the frequency of use and potency of the drug. The reason why skunk is thought to increase risk of psychosis compared to other types of cannabis is because it contains high levels of THC, a psychoactive ingredient. “This paper suggests that we could prevent almost one quarter of cases of psychosis if no-one smoked high potency cannabis. The paper calls for a clear public message to be made to cannabis users, similar to the medical advice regarding tobacco and alcohol. If you are using cannabis and need help to quit, you may benefit from counselling. Find out more and search for a counsellor on our drug abuse page.